Dr. Václav Hampl is an outstanding scholar, teacher, researcher, and former visiting scholar at the University of Minnesota Medical School. He is the head of the foremost university in the Czech Republic, Charles University in Prague, where he is a vocal proponent of higher education reform and international academic cooperation and exchange. Dr. Hampl spent five years as a visiting research associate at the University of Minnesota Medical School in the early 1990s. His time in Minnesota made a profound impact on Dr. Hampl. He arrived shortly after the “Velvet Revolution,” which marked the end of Soviet communism in Czechoslovakia. His experience of freedom and democracy first-hand in Minnesota influenced him academically, socially, and philosophically. With his University colleagues he co-published 11 peer-reviewed papers, four chapters, and 13 abstracts. He has kept his connection to the University strong and has returned several times to collaborate with researchers in the Medical School. When Dr. Hampl returned to his homeland in 1996, it was a new country: the Czech Republic. He became an assistant professor and later professor of physiology and pathophysiology at his alma mater, Charles University. 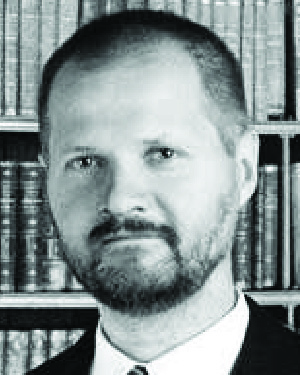 Ten years later, at the age of 44, Dr. Hampl was appointed rector—the highest office—of Charles University by the president of the Czech Republic. As the rector of the foremost university of the Czech Republic he is known as an effective administrator, successful researcher, and an exceptional educational statesman. Dr. Hampl is highly involved in the European higher education arena. His exceptional skills and deep understanding of the context in which higher education functions has been instrumental to a peaceful and successful transition for Charles University from a traditional central Eurpean university guided by Soviet principles to a new system guided by patterns developed in connection with the Bologna plan—Europe's initiative to unify and coordinate higher education systems and degree programs. Dr. Hampl has ignored convention and transformed the role of a university rector—normally seen as merely ceremonial—to one of active and bold leadership. Under this leadership, Charles University has become an institution that values the ideals of academic freedom and community. Dr. Hampl is strongly focused on international cooperation in research and education. He was highly influential in establishing the academic exchange between Charles University and the University of Minnesota’s Academic Health Center. Dr. Hampl’s diplomacy, high moral and ethical stance, and exquisite practicality have earned him a second term as rector of Charles University—an impressive vote of confidence by the university community. In naming Dr. Hampl a recipient of the Distinguished Leadership Award for Internationals, the selection committee cited his impressive academic career and his outstanding leadership as rector. He has transformed the position of rector from that of a figurehead position to a real position of leadership. He has made enormous contributions to higher education by initiating outstanding changes that go beyond those recommended by the Bologna plan, especially in financing higher education and in producing changes in research production and administration.